We are located at the corner of Diamond Lake Road and 35W in south Minneapolis. A parking lot is located on the east side of the church. Off-street parking is also available on 54th Street and surrounding streets. The church is easily accessible by bus, and is served by MTC bus route 18 and others. Click here for the Metro Transit interactive map. 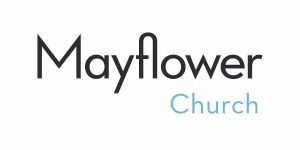 Mayflower provides space for church groups and ministries to meet, as well as affordable, convenient rental spaces for partner and community groups. Download and complete the form appropriate for your group and email to admin@mayflowermpls.org. Questions? Contact Celeste at 612-824-0761 x116.